The Clumsy Carrier Mouse is a breed of mouse found in the Sunken City. It is known to drop Oxygen Canisters as loot. Cheese: Fishy Fromage Charm: ?? The main mice in charge of supplying the City Worker mice with materials. Less fit than their city-working counterparts and often falling behind schedule, these guys are under so much stress that they constantly make mistakes and suffer premature greying of the hair. That's the price of rapid expansion and technological development! The Clumsy Carrier Mouse has been found to be especially attracted to Fishy Fromage, to the point that any other kind of cheese will simply not suffice. The Clumsy Carrier Mouse is susceptible only to Hydro weapons. The Clumsy Carrier Mouse drops the Salty Sea Egg during the annual Spring Egg Hunt. 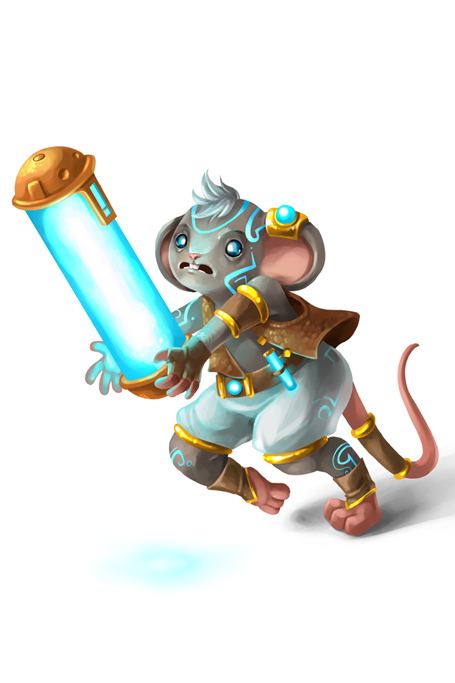 The Clumsy Carrier Mouse was released 2 July 2014 as part of the Sunken City content. This page was last edited on 9 April 2017, at 00:18.